Yep, it's my second article over at the Nerdarchy site. This time I get a little personal and talk about my last year, though I try not to get too somber. Anyone observant will notice I've not published anything new since last December. That's far too long. But that doesn't mean I've not been writing. I have been. Just not a whole lot. But there is some new fiction available from me. Sort of. See below. Also I have been busy. For one thing, I've been doing some editing work for other writers. I'm currently finished with that and, honestly, glad of it. Editing drains far too much from me for me to want to do it all the time. For another thing, I have been working a little here and there on the third novel in my Walking Gods Trilogy, titled "Whom the Gods Slay." I'm maybe half finished with it, and I hope to have it ready for publication in coming months. I've also been writing articles for a local church bulletin, and recently I've submitted articles for the Nerdarchy site. 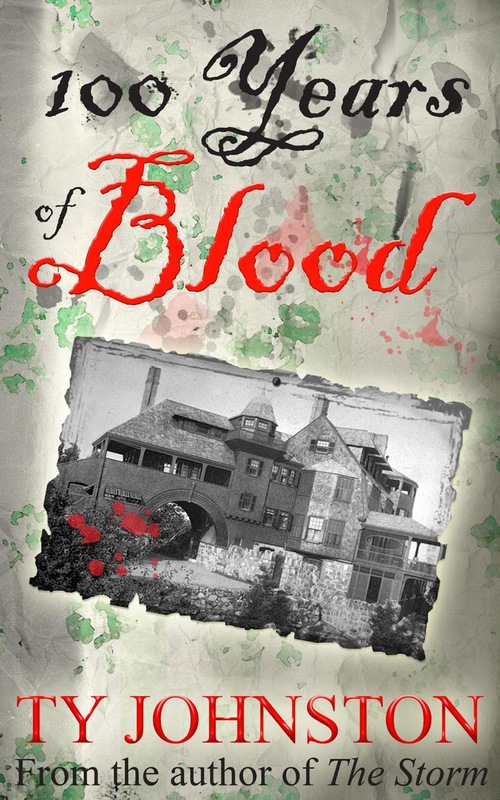 And then there's the new cover I've done for my literary horror novel, 100 Years of Blood. I've done several covers for this book, and I've not loved any of them. This latest is probably my favorite. We'll see how I like it in months to come. (As an aside, I always find it amusing readers come away thinking they have discovered the "secret" within this novel ... so far, no one has, though they think they have ... the novel is meant to play with readers' expectations, to make people think and not jump to conclusions). To tell the truth, it's not really new fiction. In fact, some of it's really, really old. Like some of the earliest fiction I've written, from 25 and more years ago. But a good chunk of it is fairly new, from the last few years. Only it wasn't published under my name, but a pen name. I've scraped the pen name and decided to republish all this material under my own name. Well, that's kind of hard to explain, though I suppose there are several reasons for it. First, I was beginning to feel like I was doing a disservice to my regular readers by not providing them access to all my works. And then there was the financial factor, because my own name sells better than any pen name I've used. One reason I hesitated so long to make this switch is because the material published under my pen name has a vastly different style than my own. Admittedly some of the earliest short stories are probably not up to snuff, but even the more recent material will not read like my usual writing voice, the one I utilize for the majority of my novels. In other words, it won't sound like me, or it might sound like a different version of me. Some might even argue it reads like a lesser version of my "regular" writing, but I'd argue otherwise, that experimentation is the lifeblood of writing for me, and if all I'm expected to do is churn out the same old works over and over again, I can guarantee those works are going to gradually become weaker and weaker. Anyway, what are these new-but-not-really books? 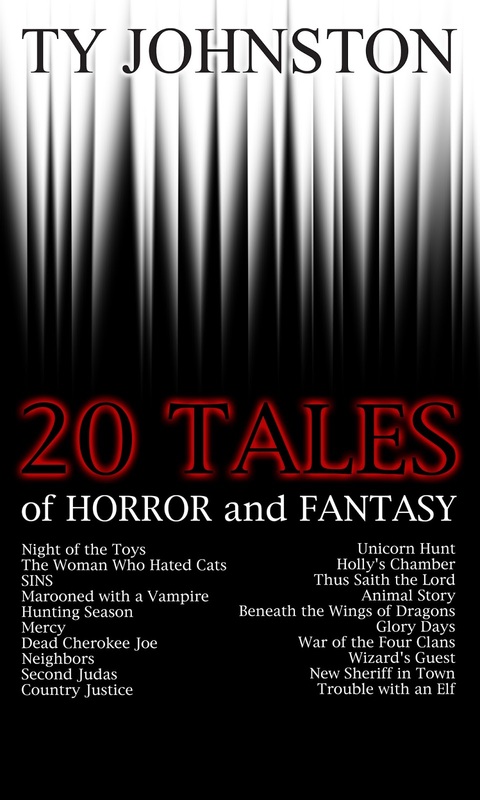 There's 20 Tales of Horror and Fantasy, a collection of some of the earliest stories I've written. 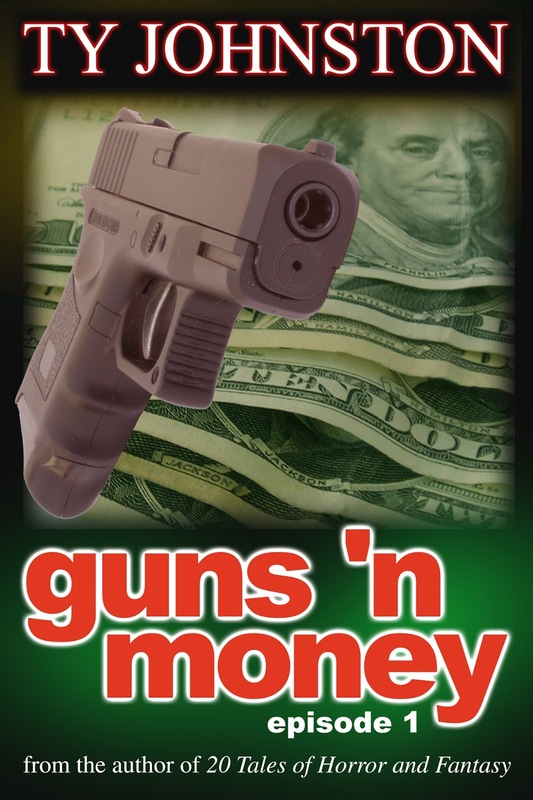 Then there's Guns 'n Money, originally a 5-part e-book series that was eventually collected into a single book. This series was my taking a stab at crime fiction in the mafia vein, but also an experimentation in style, fast writing with little background or other exposition, just characters with dialogue and action, action, action. Some won't like this style, but some seem to. And then there's my 5-part e-book horror series Bible Camp. Eventually brought together in a collection, this is an homage (or "total ripoff," as some would call it) of 80s slasher horror movies, especially the Friday the 13th flicks. I'll admit the first part is definitely reminiscent of such films, but the rest of the series goes off into other territories, some familiar, some not so much. I'd like to think this series added a little something to this genre. So, there's kind of new fiction from me, and kind of not. Anyone who checks out this material, I hope you find something to enjoy. As some of you probably know, this past year I've gotten back into tabletop and online role-playing games, specifically Dungeons & Dragons, though I've been playing lots of Deadlands of late (think Western with zombies, some magic and the occasional mechanical monstroid). Anyway, as part of that, I've become a big fan of the Nerdarchy crew, especially their YouTube channel but also their website and other online outlets. So how stoked was I when a while back one of the crew contacted me and asked if I'd be interested in writing for their main site? Uh, hell yeah! I submitted three articles, and the first is now available. It's focused upon Fifth Edition Dungeons and Dragons and is titled, "The Warlock: Are You Playing it Right?" Notes: This novel might be the epitome of overly literary, long-winded, erudite, pedantic novels. 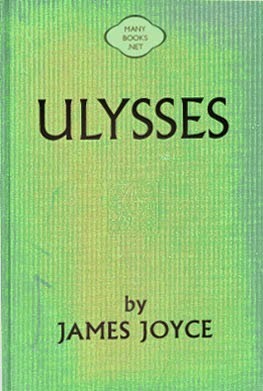 Yet I've been meaning to read it for some time, as I have an appreciation for Joyce's sentence structure and some of his allusions (at least the ones I get ... and if you don't get them, don't feel bad about it because there are so many and most readers aren't going to get them all). Mini review: It is difficult to describe this book. For one thing, it's not a novel, and least not by traditional standards. There isn't really a plot, though there are events that follow along a main character throughout a particular day in 1904 in Dublin, Ireland. However, the main character does not appear in every chapter, and often when he does, he is not the viewpoint character. This is a book about style, not storytelling, and each chapter focuses upon a different style of writing. There is a chapter written as a play script, a chapter without punctuation, multiple chapters written in the styles of other authors, etc. Not a book for most readers, but I can understand the genius of it when originally published in the early 20th Century; however, today it strikes as self-indulgent and downright snobbish, as in an oh-look-what-I-can-do fashion. Literary grad students and professors, and other with a strong literary bent, will be interested, but I have a hard time imagining anyone caring much for this material. If it sounds like I hated this book, let me state that that is not true, though I do see what I believe would be considered its failings for the modern reader. I did not exactly love this book, and for long stretches it drags on and on with impossible-to-understand situations, but I did enjoy the occasional humor and some of the more beautiful phrases, which were rare but are there. I'm glad I read it, but I can't imagine doing so again. Nearly all this material will be over the heads of the average reader, those not steeped deeply into history, philosophy, religion, and pre-20th Century literature, mainly because there are so many allusions and allegories. Each chapter here is meant to represent a chapter from Homer's Odyssey, but most readers will not pick up on this. And no, I'm not suggesting today's readers are stupid, but that this particular book was written for earlier audiences and the literary crowd, not your casual novel reader.